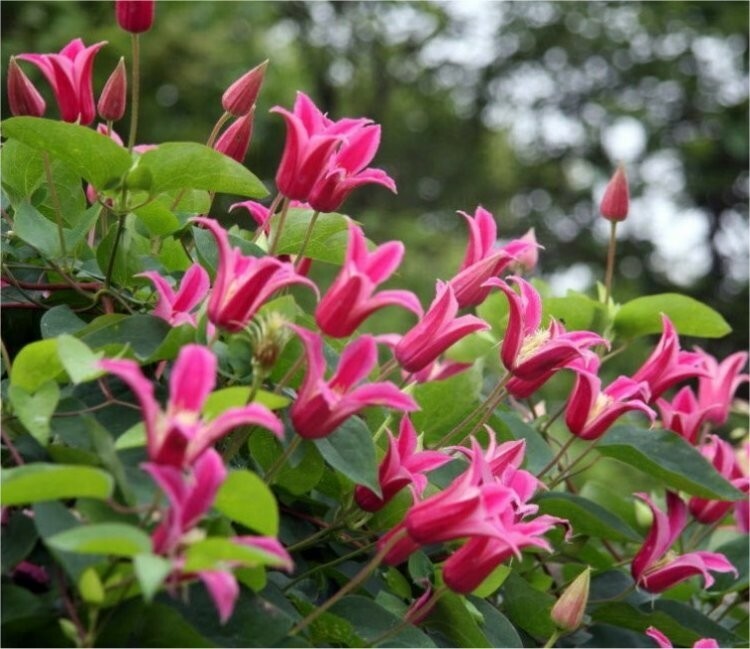 Clematis texensis Princess Diana is another beautiful variety with striking, bright pink, tulip shaped flowers and prominent, creamy-yellow centres. She blooms continually from mid summer to the first hard frosts of winter, and is the ideal climber where late season colour is required. As a late-flowering clematis, she looks lovely scrambling through a climbing rose or tree in full sun or semi-shade. It's also great used in the traditional way vining over fences, walls and arbour posts. 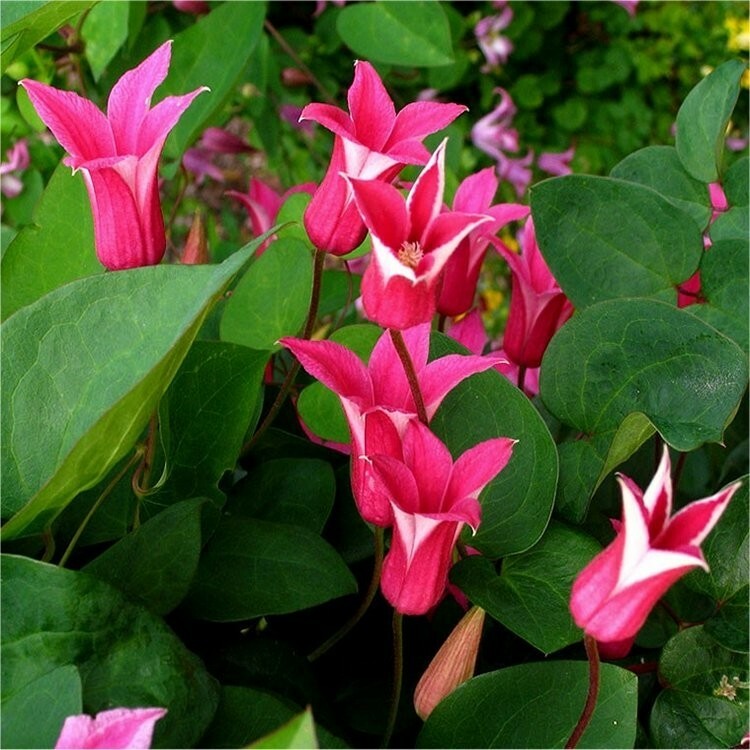 The unusual, trumpet-like flowers associate well with many medium-sized garden shrubs. Named for the peoples princess, the late Diana Princess of Wales. Supplied in approx 2-3 litre containers at around 80cms tall and covered in buds/blooms in season.